A stylish single-sided monaural headset, the Sennheiser DW 20 USB is a premium quality device designed for use with VoIP telephony systems. It supports high-fidelity audio and excellent voice clarity thanks to an ultra-noise-cancelling microphone, while acoustic shock protection helps to protect the user's hearing. Offering excellent ease of use and quick and easy deployment thanks to plug-and-play connectivity with any PC running Windows, the Sennheiser DW 20 USB also features built-in call handling functionality and volume controls. Users will be able to roam freely around the office and enjoy a comfortable and optimal experience thanks to the adjustable headband and rotating microphone boom arm. 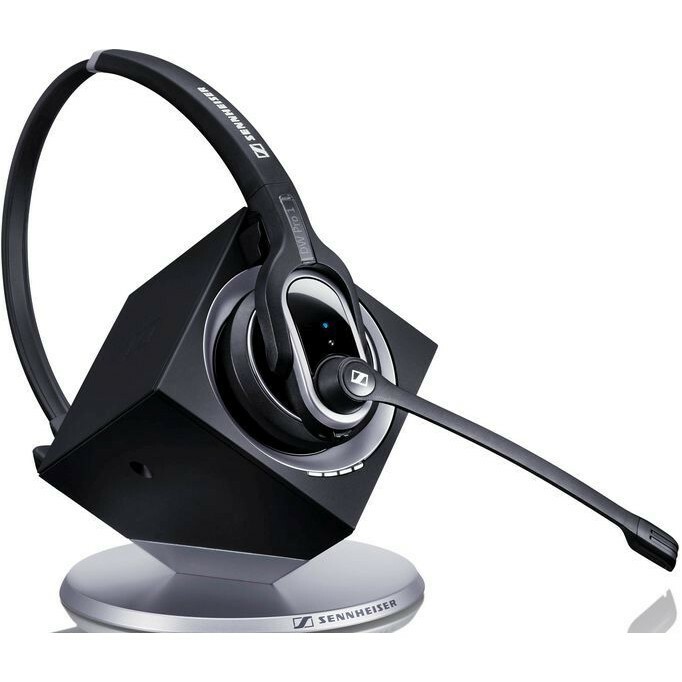 A premium cordless DECT headset with USB connectivity, the Sennheiser DW 20 USB is ideally suited for use in any call centre or office which use a VoIP telephony system.